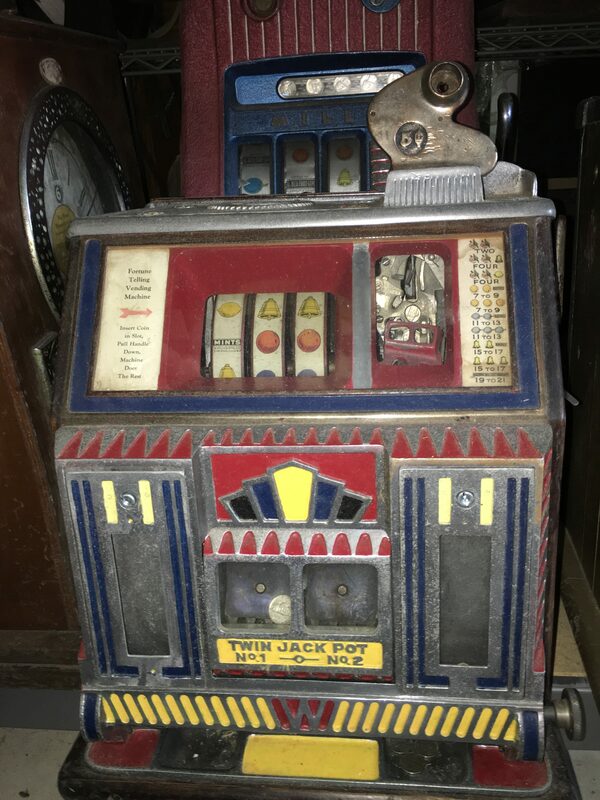 Circa 1930’s Antique Watling Baby Twin Jackpot Torch Vendor Front 5 Cent Antique Slot Machine. This is a very rare slot machine. 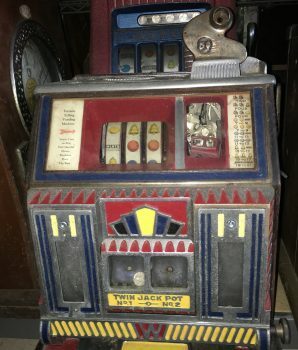 This front vendor slot machine is also referred to as the Baby Twin Jackpot Vender and considered a rare machine. Features a mint vendor on each side of the twin jackpot. Includes Lock & keys. Condition is Excellent! Size 22″ x 15″ x 16″. Machine will be professionally boxed and insurance, signature is required. $1395 plus $195 shipping. Slot machine is professionally doubled boxed.